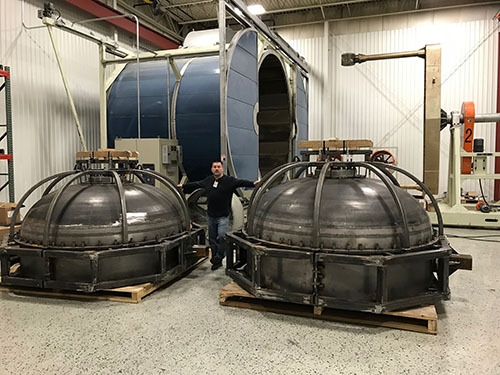 Endurance Composites, LLC, an ANDRONACO INDUSTRIES company, has acquired the composite and dual laminate tank, pipe and fitting operations of Enduro Composite located in Pearland, Texas. The purchase also includes the Vesca Plastics brand. Endurance Composites will continue to operate out of the 80,000sq. foot Pearland facility with the same great team-members and equipment. ANDRONACO INDUSTRIES releases another innovative lined piping product; TriPure™. 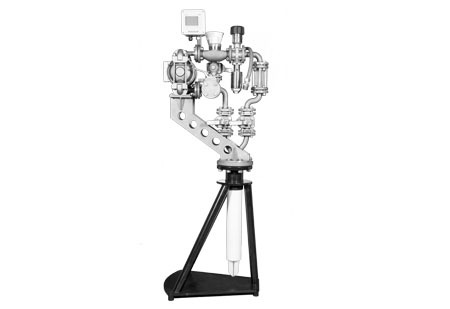 The piping system is designed for those applications that need to be assembled and disassembled quickly for cleaning using a standard tri-clamp. Available with an ETFE lining for excellent chemical resistant at temperatures to 350F. All fitting styles are available. Literature to follow shortly. 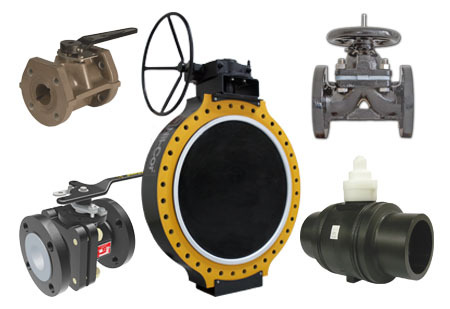 A leader in Polyethylene ball valve technology, PolyValve has leaped ahead again with the design and manufacture of 16" sized valves! 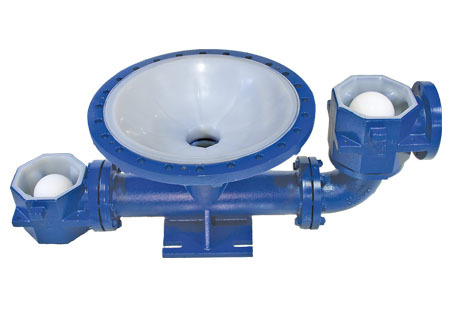 PolyValve 16" ball valves are approved by major natural gas suppliers for immediate installation and PolyValve is the only USA manufacturer of 16" polyethylene ball valves. 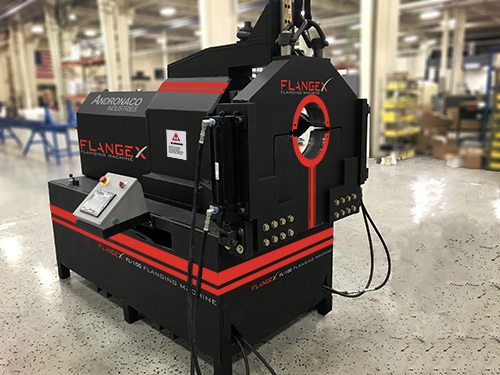 (5) more FlangeX machines being manufactured. 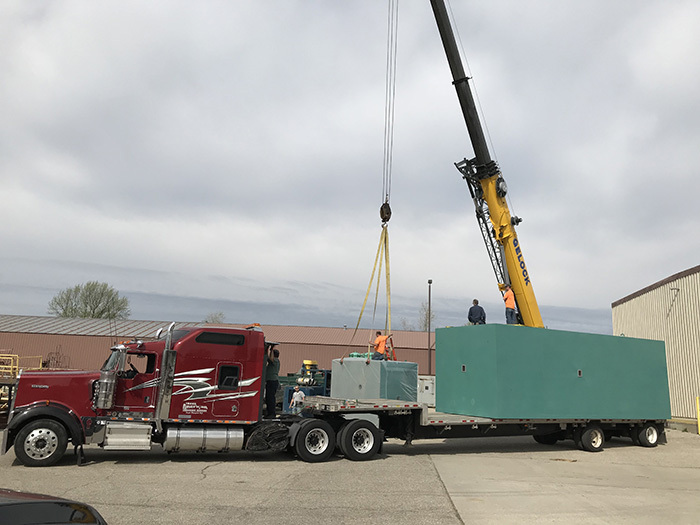 May 9, 2018 - Ethylene offloads its new 30' PTFE tube sintering oven. 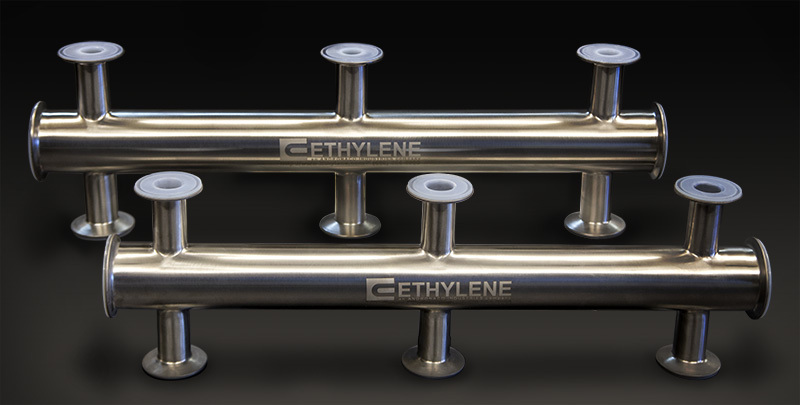 Ethylene is increasing its lined steel pipe production efficiency with new and advanced equipment. The investments will provide Ethylene with the benefit of providing the highest quality lined steel piping products to its customers at the lowest price point available in the marketplace today. There is no other company in the industry that has the ability and offers a complete solution to handle corrosive fluids. From Hose, to valves, to lined steel pipe, to tanks and everything in between. ANDRONACO INDUSTRIES; Better Service & Better Products from one company. Single Source Corrosion Solutions. Built to withstand the most rigorous applications, Conley Composites Gorilla™ Ultra Heavy-Duty Composite Fittings are built with a double synthetic veil reinforced resin rich, 60 or 100 mil minimum corrosion barrier that is 90% premium epoxy or vinyl ester resin and 10% reinforcement for increased impact resistance. 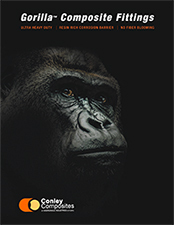 Today, Conley Composites continues the evolution of firsts with Gorilla™ composite fittings. The strongest, most corrosion resistant composite fittings avaialble, period! ANDRONACO INDUSTRIES has combined the best features of the simplicity of a M369 Conrac machine and the much better hydraulic clamping jaws of T-Drill flanging machine at a much lower price point. ANDRONACO also is the first to introduce a PLC controller to a flanging machine to replace the cumbersome mechanical limit switches in the Conrac. The PLC controller gives the operator the advantage of simple precise adjustment and control versus having to always readjust due to change in pipe size. 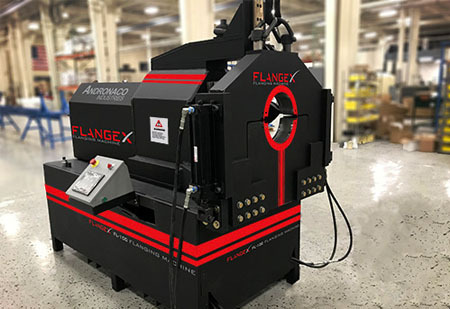 ANDRONACO INDUSTRIES is building (10) FlangeX flanging machines. The first (8) are designated for Ethylene ChemTite Lined pipe distributors and will always maintain a couple in stock for resale or lease. Gulf Shores Construction is a leading construction firm specializing in the installation, fabrication, repair, and servicing of non-metallic & lined steel piping systems in Texas and Louisiana. 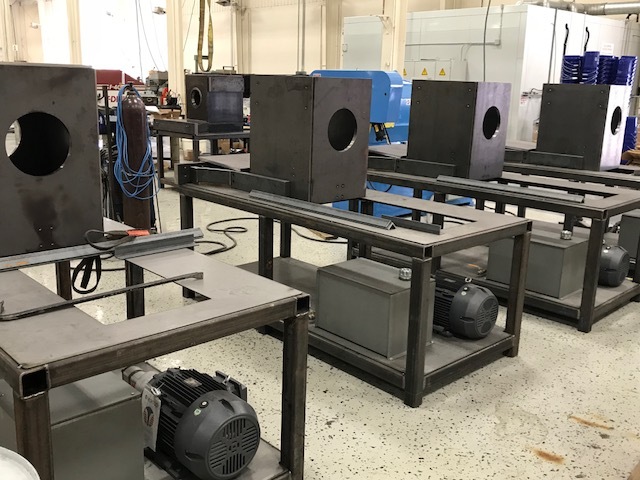 The acquisition will also allow our distributors (Great Western Supply & Flowcor) to penetrate deeper within Gulf Shores Construction customers by supplying advanced corrosion solution technologies that will provide longer service life once installed. Great Western Supply (GWS) is a leading industrial distributor headquartered in Houston Texas with stocking branch locations in Clute Texas and Laplace Louisiana. The acquisition will enhance GWS current product offering by adding more engineered corrosion solutions for its customers. From thermoplastics to thermosets to PTFE lined steel to Durcor PTFE lined structural composite piping, Great Western Supply is now well positioned to lead the Gulf Coast market with the best product technologies available from one single company! Harry Boudreaux will lead Great Western Supply. 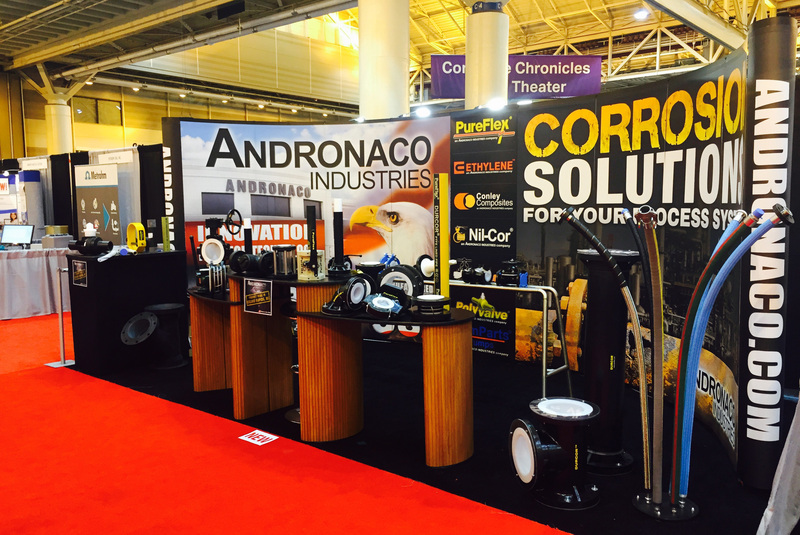 ANDRONACO INDUSTRIES exhibits and presents composites at the world's largest corrosion conference and exposition show (NACE) in New Orleans, Louisiana. Flowcor LLC, an ANDRONACO INDUSTRIES company, is pleased to announce that we have acquired Flowcor Products Inc of Louisiana. Flowcor Products Inc. is a recognized leader throughout Louisiana and surrounding regions as one of the best "specialty distributors" for corrosion solutions and other outstanding process equipment to meet the challenging requirements of their business partners. Timmy Medine will lead the organization as General Manager. 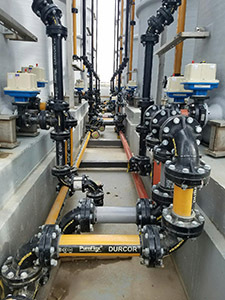 "Things could not have gone any smoother, the Durcor® piping system is great to work with and the service at ANDRONACO INDUSTRIES is fantastic". Conley Composites LLC, an ANDRONACO INDUSTRIES company, is pleased to announce that we have acquired Conley Corporation. A leader in fiberglass pipe and fitting manufacturing. ANDRONACO INDUSTRIES continues to expand it's manufacturing capabilities at its Plant 3 location. 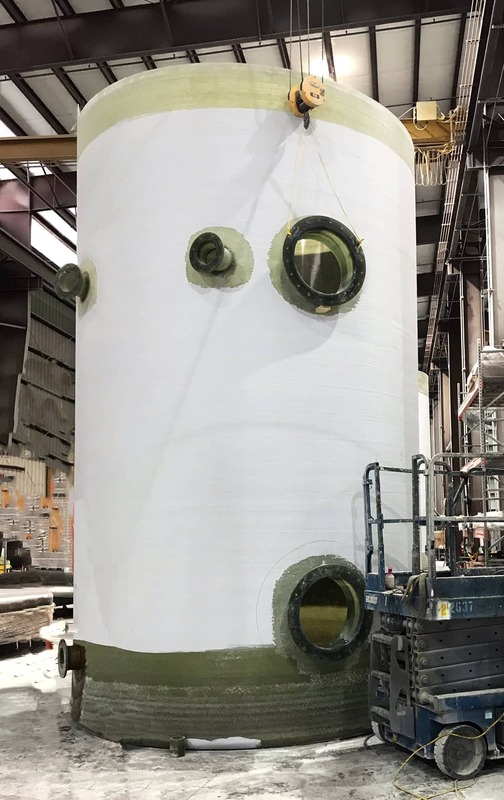 A new tower is nearing completion for the molding of large diameter isostatic liners used in the manufacturing of ANDRONACO INDUSTRIES various innovative product lines of piping systems, valves, pumps, and hoses. 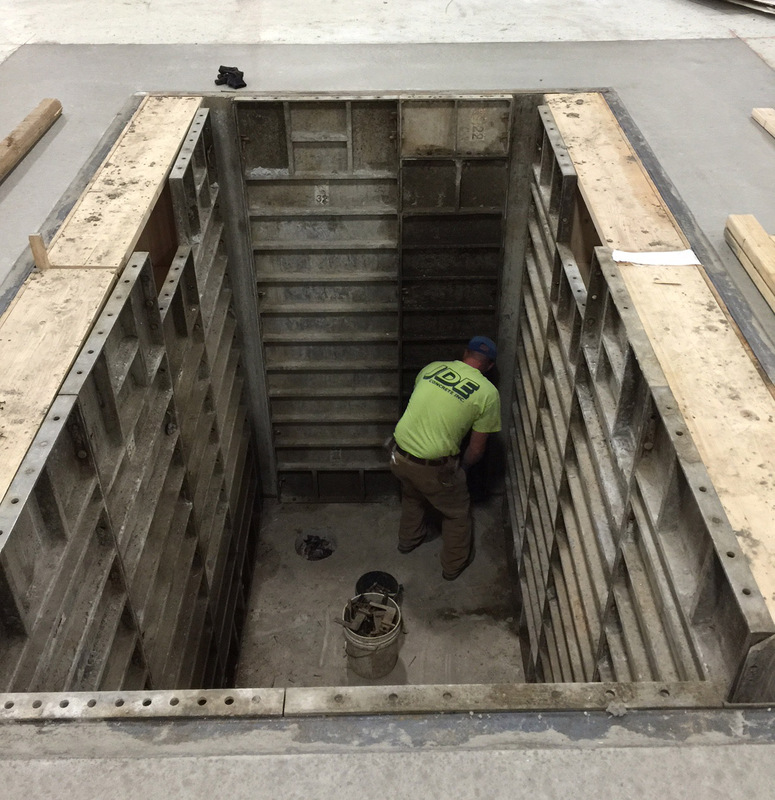 ANDRONACO INDUSTRIES constructs (3) mammoth cement pits for the worlds largest PFA intrusion machine and two other smaller cells. 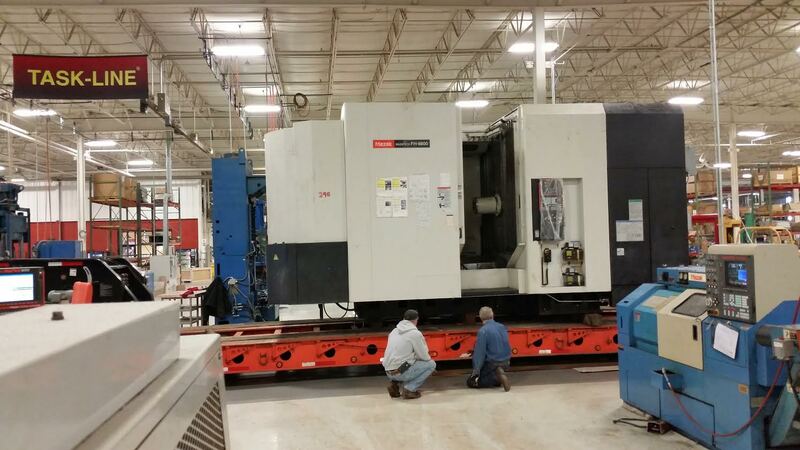 The new machines will increase the company's PFA molding capacities and other plastic molding capabilities to 36" diameter for its new product lines coming online in 2016. ANDRONACO INDUSTRIES is the world's most diverse processor of fluoropolymer technologies for chemical handling products. Expanding on it's industry leading manufacturing technology, ANDRONACO INDUSTRIES has acquired and put into production a laser etching/cutting machine allowing it to further enhance the quality and precision of it's innovative products. 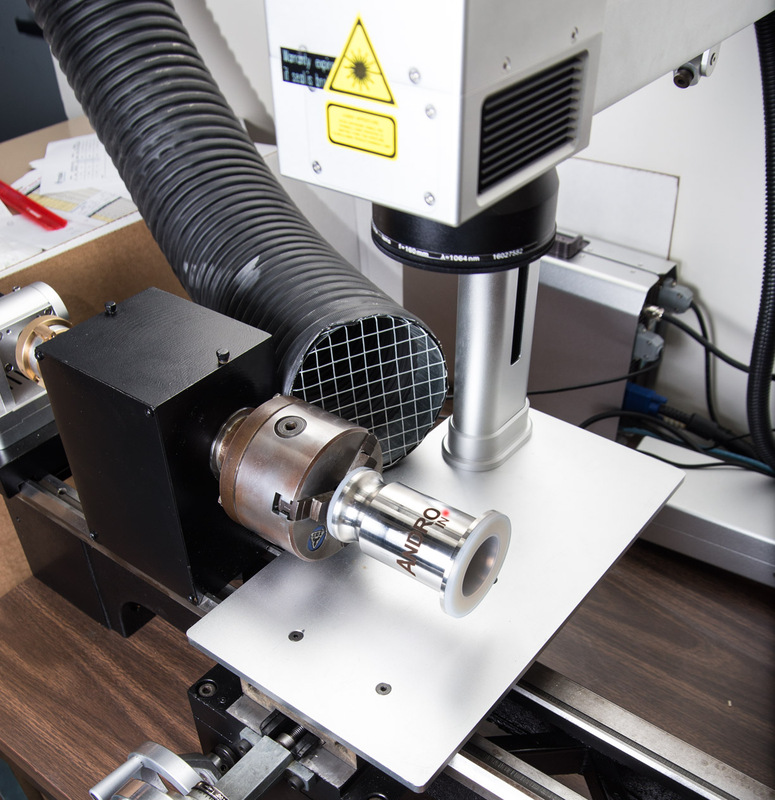 This etcher/cutter will allow ANDRONACO INDUSTRIES to continue to lead the way in creating the highest quality process system parts and components in the world. Hills-McCanna® Valves are made in the USA! Since 1931, Hills-McCanna® has earned a reputation for innovative products that serve demanding applications better than before. Today, the Hills-McCanna® legacy continues with the ChemTite® series. 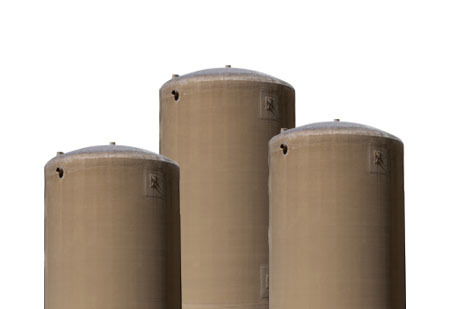 ChemTite® products are built with American quality for peace of mind and dependability in tough chemical applications. 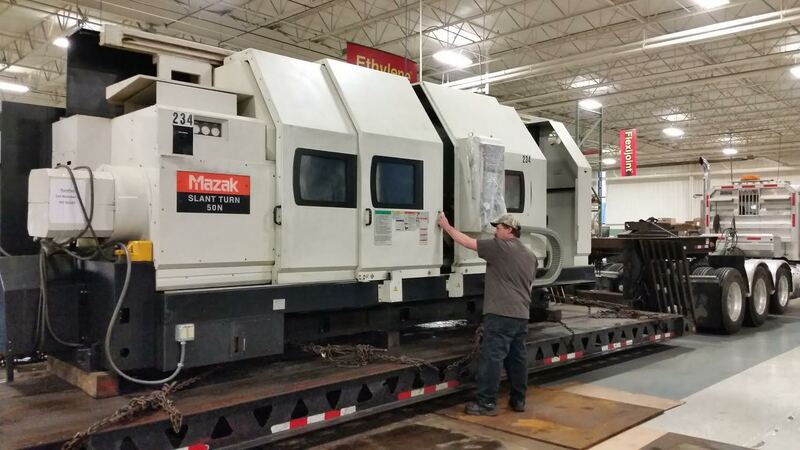 ANDRONACO INDUSTRIES has acquired two new massive Mazaks for its upcoming product lines. 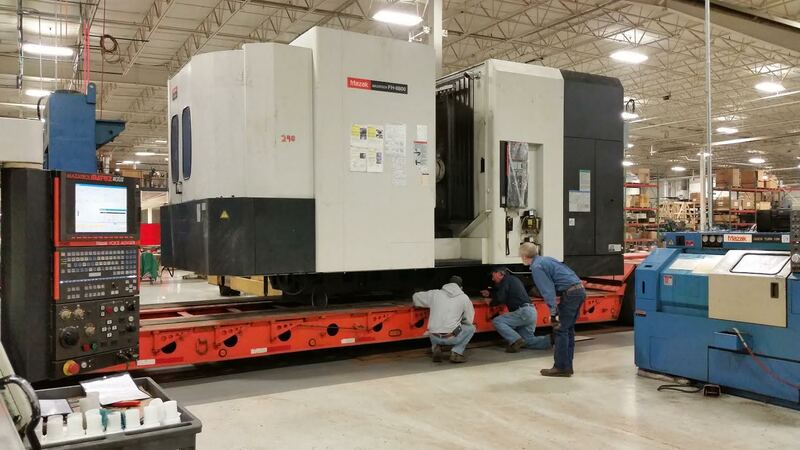 With a replacement cost of over $1.2m, the Mazaks greatly increase the company's machining capacity and efficiency to levels no competitor possesses, giving us the ability to turn 32" diameter parts that are 129" long, as well as mill parts up to 51"x43"x39" on the twin pallet machine. Shipping begins on $500,000 Durcor® pipe and fitting order to a Indonesian paper plant. 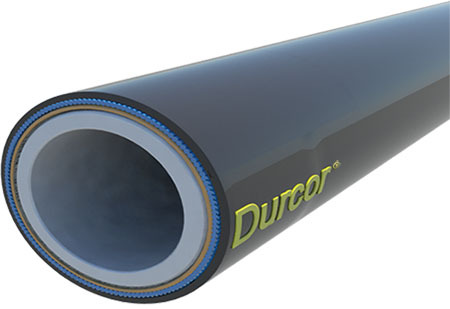 Durcor® 50&apos;s are the longest lined pipe ever manufactured by any company, Another first for PureFlex Durcor® piping system. 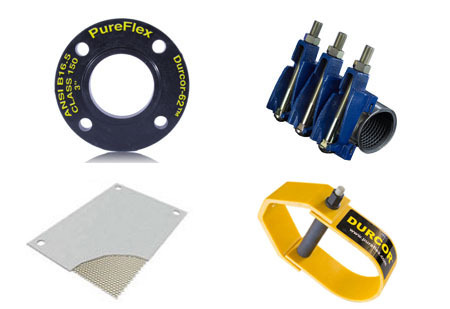 Durcor® 50&apos;s offer fewer flange connections for faster installations and fewer potential leak paths. We are pleased to announce the acquisition of our fourth manufacturing site in the Grand Rapids, MI area. The new building is 122,000 sq. feet and brings our total manufacturing floor space in the USA and France to over 500,000 sq. feet. 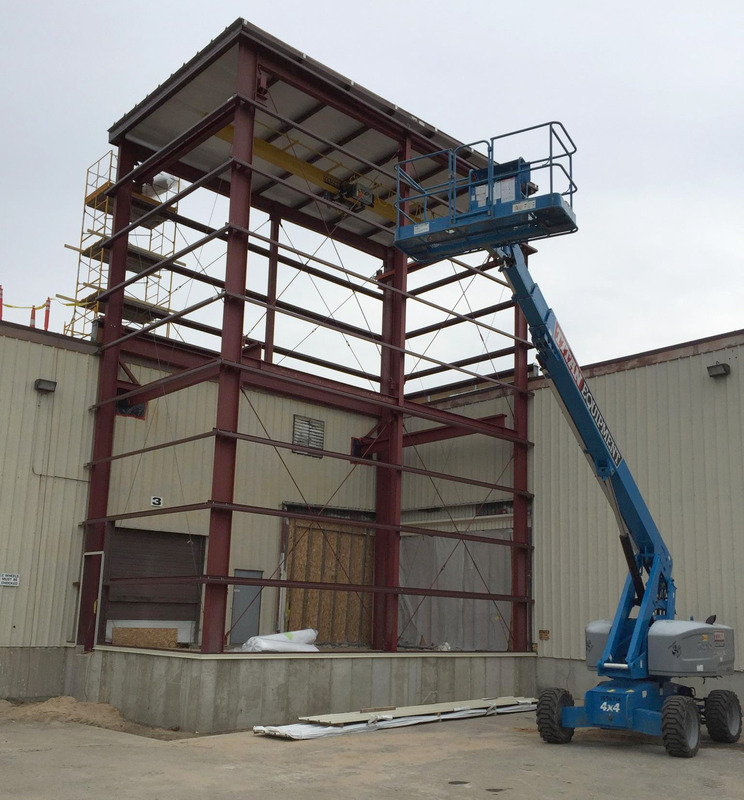 The new building is needed for new processes and product lines the company is currently developing that will continue to fuel its rapid growth. We are pleased to announce that we have acquired Macken Industries. Macken Industries is a metal expansion joint manufacturing company located in North Arlington, New Jersey. The new company will be a "Bolt-On" product for PureFlex Inc. and sold as PureFlex bellows / metal expansion joints. The acquisition will allow us to be more self-reliant and provide improved service, quality and delivery times while expanding our product catalog. PureFlex, an ANDRONACO INDUSTRIES company founded in 1994, will expand a new line of production into the former MacDonald's Industrial Products site at 4242 44th St. Nil-Cor, another Andronaco Industries company, also will occupy part of the building. In late 2007, the property was listed for sale at $2.5 million. Since then, Ring reported the value of the property has dropped nearly 73 percent because of its obsolescence and physical deterioration from vandalism. The property's true cash value, Ring said, is $629,400. Kentwood, MI. 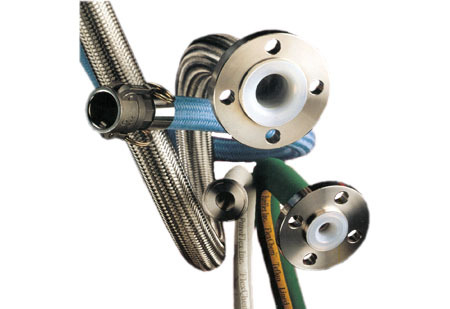 - February 01, 2011 - ANDRONACO INDUSTRIES today announced it has entered into a binding agreement to acquire the Polyvalve business, a leader in polyethylene ball valves for natural gas systems, from Flowserve Corporation. Flowserve currently manufactures its Polyvalve business at its Sulphur Springs, Texas and Unieux, France locations. 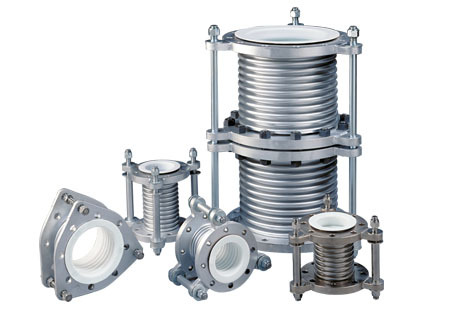 Polyvalves products have been recognized as a key component of natural gas distribution systems around the world and also service the water / waste water and chemical markets. The product line had revenues of $13,000,000 in 2008. ANDRONACO INDUSTRIES will continue to operate the Polyvalves business located in Unieux, France; Polyvalves Texas operations will be relocated to Kentwood, MI and will create 20 - 30 new jobs. This is the 5th acquisition in as many years for ANDRONACO INDUSTRIES. About FLOWSERVE CORPORATION - Flowserve Corp. is one of the world's leading providers of fluid motion and control products and services. Operating in more than 55 countries, the company produces engineered and industrial pumps, seals and valves as well as a range of related flow management services. More information about Flowserve can be obtained by visiting the company's Web site at www.flowserve.com.